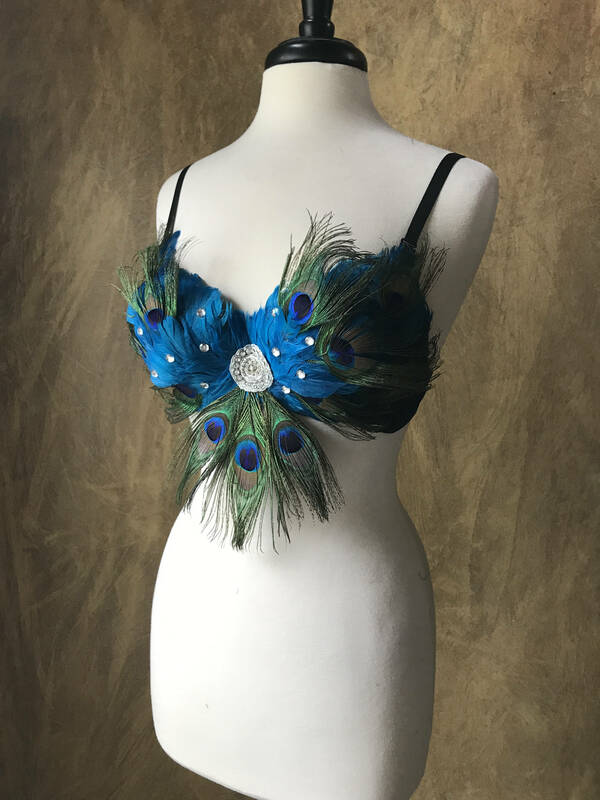 Gorgeous peacock feather bra. 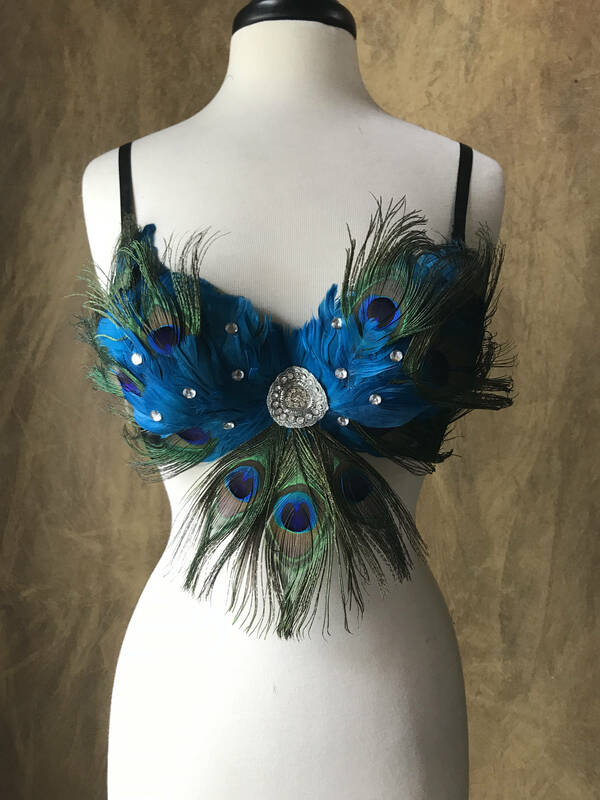 Hand placed feathers with a rhinestone center piece. This top will be made to order to fit your bra size. Please allow up to one week production time. I will have some made on hand in popular sizes so please inquire before buying if you need faster. If you size option isn't listed please contact me for a custom order. Please note production times to add on to your shipping estimates. Weekends are not business days for shipping so please keep that in mind when selecting your shipping time. Shipping includes delivery confirmation. If your order is above $250 you must sign for your package. If purchasing multiple items please contact me for a shipping quote. It may actually be less than the combined shipping calculated by Etsy. INTERNATIONAL bidders, I do ship World Wide! Costumes must go Priority or Express USPS with tracking. Please be aware of your import policies. You may be responsible to pay a duty if your country requires it on imported items.